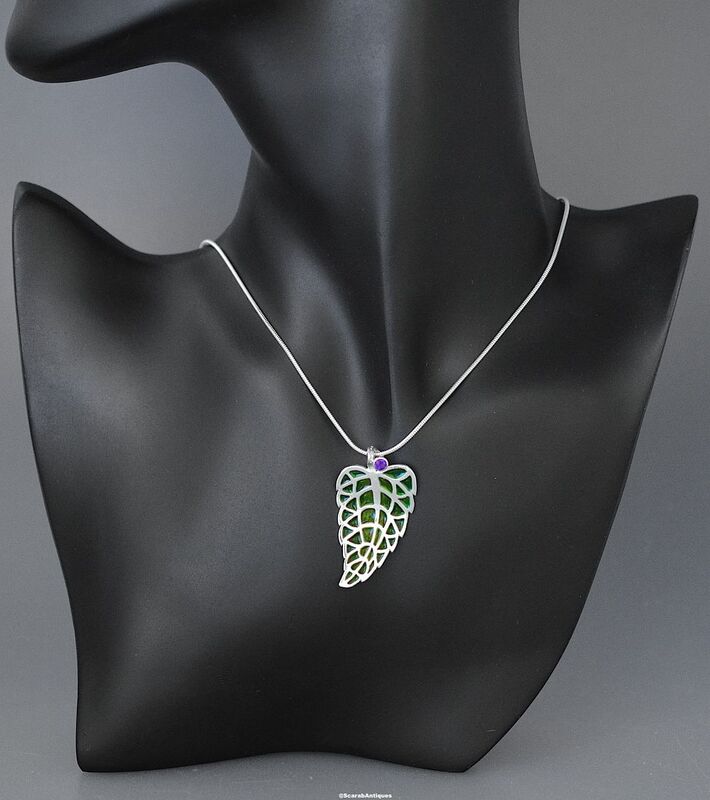 This simply elegant plique a jour enamel amethyst & silver pendant was designed and handmade by Jean Wilkinson in the shape of a birch leaf. There is a round amethyst set in a rubover setting slightly offset in the top of the pendant and the leaf section is in shades of green plique a jour enamel. The pendant hangs on a silver snake chain. 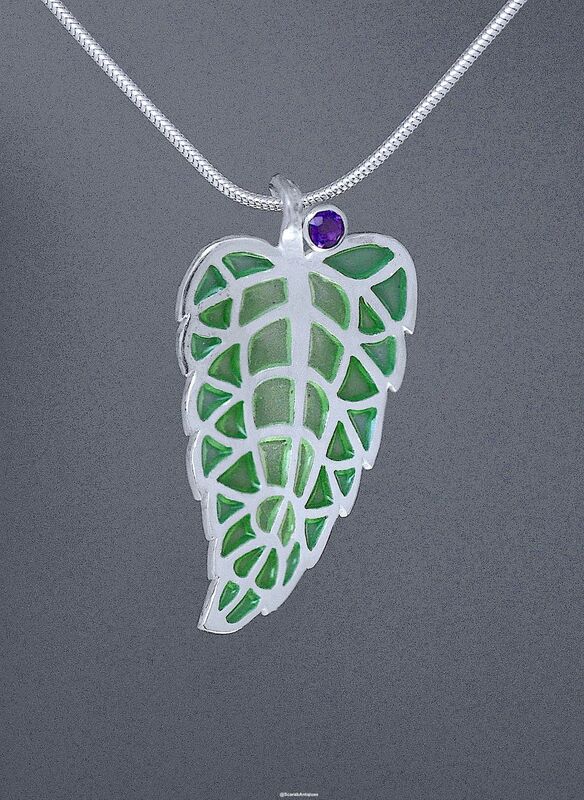 The delicateness of the birch leaf is caught in this pendant.